The Apple iPad 10.5 inch Pro is perfectly made for people who are looking for something which will bridge the gap between the 9.7 inch iPad and the larger 12.9 version of the device. Being a Pro device, it provides the users with the best of everything that is available in the basket of apple. 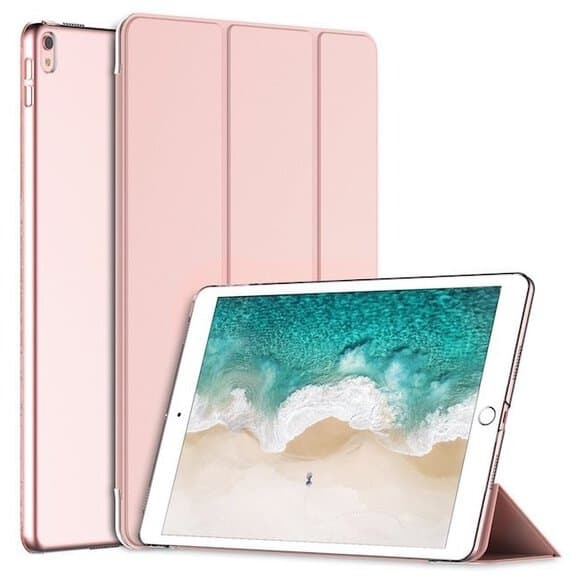 Latest processors, pencil compatibility, Smart Connector, you name it and it is available in the beautiful slim Apple iPad 10.5 inch Pro. Just like with any smart phones or tablets that are available in the market, it is always a good idea to provide the devices with some kind of protection that will hold the device in place and at the same time provide it with an all-round protection. But the market being flooded with so many cases and covers, which one would be best for your new iPad? 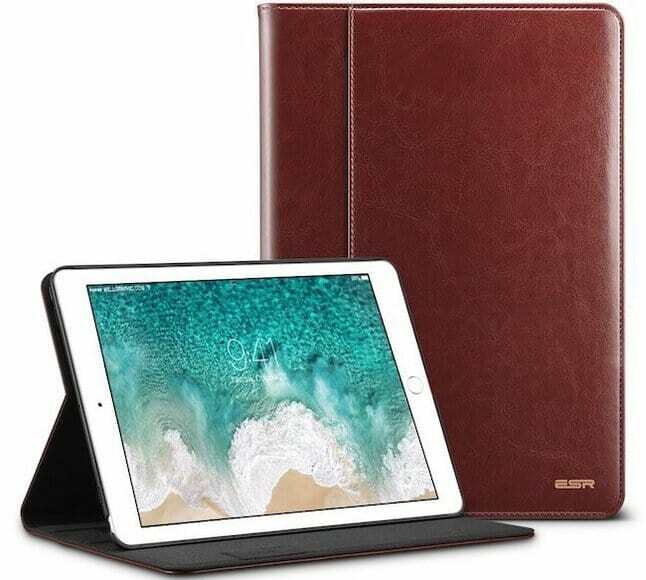 The same is with new iPad which was launched at WWDC 2017, so we decided to dedicate this article showcasing best iPad 10.5 inch Pro cases and covers which are best in terms of protection, looks and pricing. 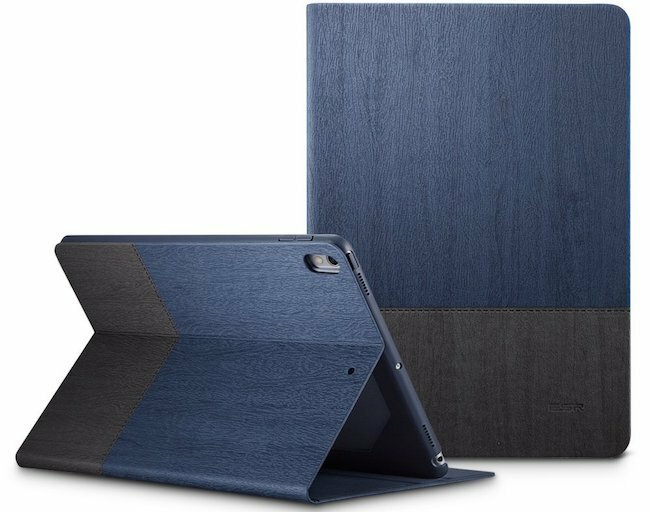 Have a look at some of the best iPad 10.5 inch Pro 2017 cases and covers that you can choose from. 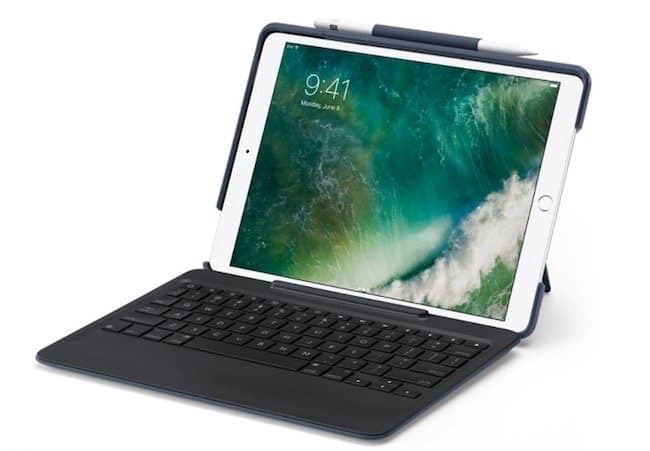 If you are on the lookout for best 10.5-inch iPad Pro case which comes with an added keyboard which will allow you to use your iPad even more smoothly than you must look out for Logitech Slim Combo. This is one of the must have covers for the iPad as it brings an additional keypad with it. Logitech Slim Combo doesn’t need any Bluetooth connection for the keypad to work thanks to the smart connector available. The keypad comes with backlit features for better usability and the case provides all round protection. Looking to make your iPad 10.5-inch even more stylish and chic for use? Check out the ESR Urban Series Premium iPad Pro 10.5 inch case which provides your device with an all-round protection and is a folio styled case which is great for your device. One of the best part of this case is the fact that when you close the cover, you automatically put your iPad to sleep. The Apple Smart Cover comes in vibrant and muted colors so that you can choose as per your mood or choice of colors. ESR Urban Series case is perfect for users who like to keep the iPad 10.5-inch Pro at bay but doesn’t take it to work often. 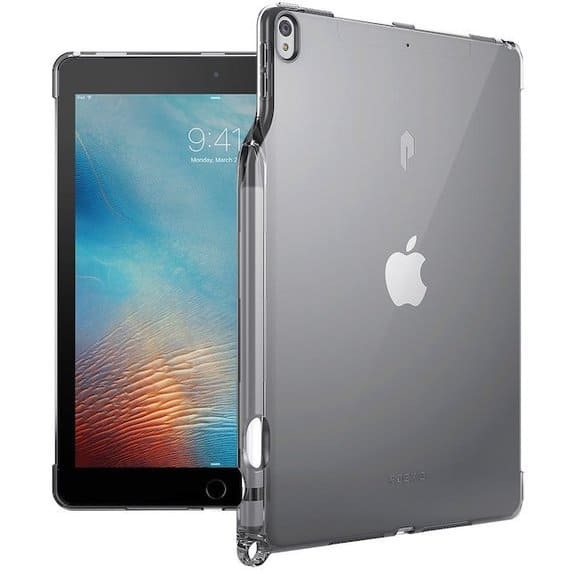 Polycarbonate hard shell is what makes up the outer cover of the iPad 10.5-inch Pro cover when it comes from i-Blason. The TPU inner shell is perfect for keeping the device protected from falls as it is a shock absorbent material and protects your device internally. 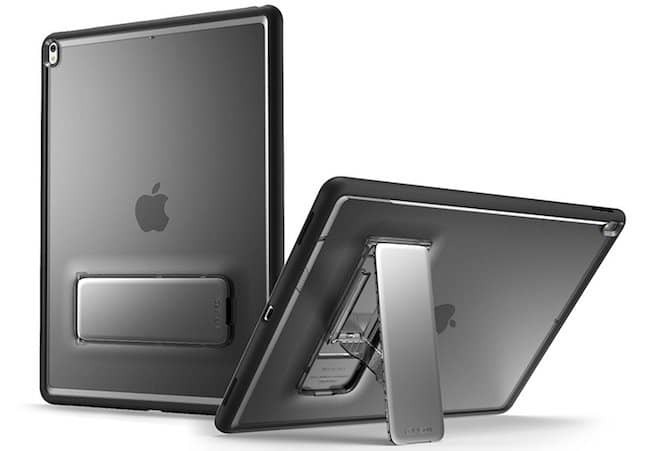 The raised level edges and the back stand that comes with i-Blason provides the users with further ease of using the iPad 10.5-inch Pro tablet. It is available black color and all the buttons of the device is accessible even when the case has been put on. When it comes to classyness, there are seldom products which can match the likes of leather. 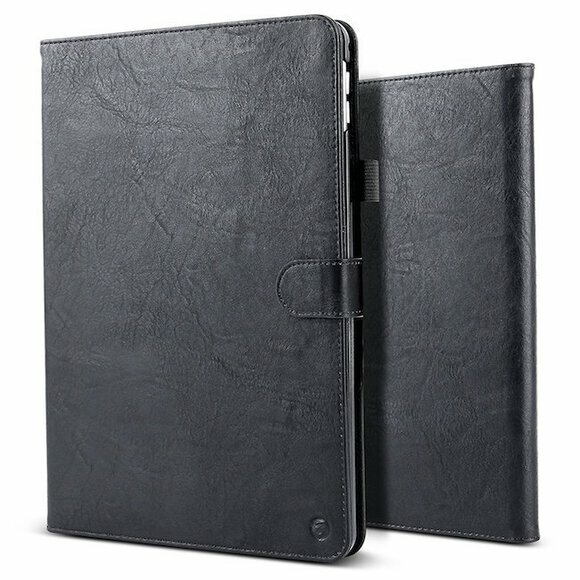 ESR brings to you a leather casing for your iPad 10.5-inch Pro device. The cover is made of ultra-soft leather which provides a perfect fit for your device and at the same time protects it from various kinds of damages. The lock is secure and made of adhesive lock hence there is no chance of your device slipping from this case. The stitching is nylon grade and this case protects your device from ultra violet rays too. 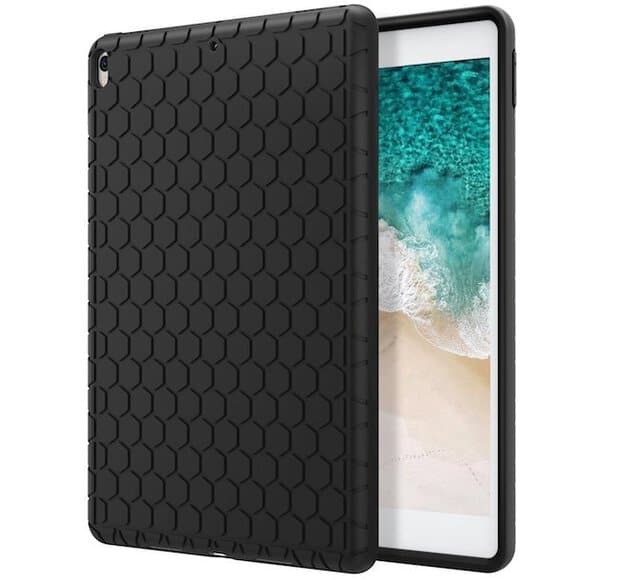 Many of us need a rugged protection for our device, and when it comes to rugged cases and covers for iPad 10.5-inch Pro you don’t need to look beyond Supcase Unicorn Beetle Pro. This case comes with a dual layer casing which protects the phone from shock, thanks to the TPU inner cover and gives protection from scratches and breaks due to the external polycarbonate cover that is available. 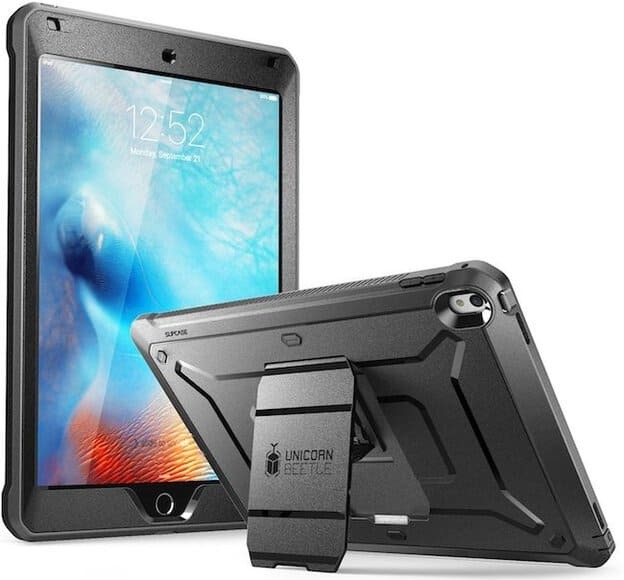 The Supcase Unicorn Beetle Pro 10.5 inch iPad Pro 2017 case is also available with a kickstand if you want to watch movie and need to go hands free. When it comes to integrated covers, Poetic does a poetic justice to its iPad 10.5 inch Pro device. It not only protects the pad from several kinds of damages but also allows you to carry your stylus in the same case. Poetic case is made of a TPU inner cover which helps in the protection of the device from the shock and drop. Poetic cases also come with a better grip which will allow you to hold the device securely without dropping it. Poetic cases have openings so that you can get access to all the important buttons, even when the case is on and it is compatible with the keyboard. 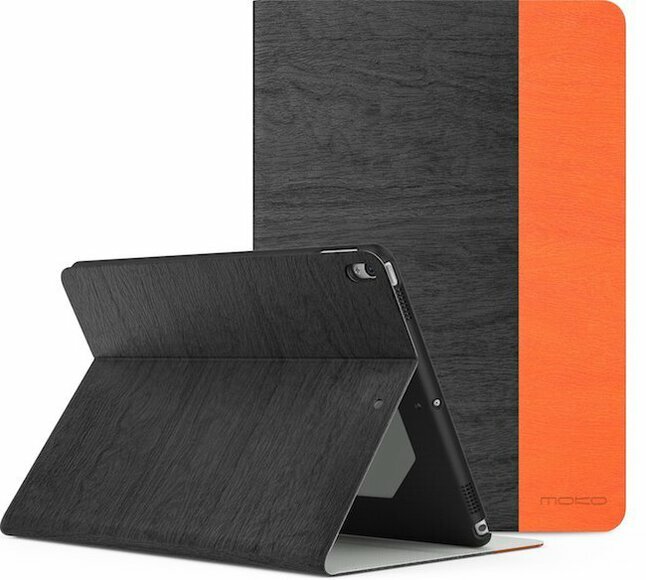 Moko is one of those cases which puts your iPad 10.5-inch Pro to sleep or awakes it as and when the lid of the case is closed or opened. The back of the case is made up of hard leather where the front is made up of microfiber. The Moko case provides your device with the best kind of protection there can be while also allowing your device to be lightweight and slim at the same time. The back stand allows you to enjoy movies and other shows in a hands-free manner. When it comes to Khomo Padfolio, you get a lot more than just a back cover or a case for your iPad 10.5-inch Pro. Khomo Padfolio is basically an all in one show, which acts as a perfect folio while also making a great protective cover for your device. It consists of pockets for various things, including your phone, credit cards and your stylus or other pens. You can zip the Khomo Padfolio up and it will act as a lovely little bag. Khomo Padfolio is made of PU leather which provides you with an elegant and classy look while protecting your device. If you are looking for choices when it comes to your cover for the iPad 10.5-inch Pro cover, then you should definitely get a good look at Belk. It comes in a number of varied colors which will definitely win your heart. The Belk cover is made of PU leather which provides it with an elegant look and provides good protection to the device. Belk also comes with various slots which will provide you with spaces to store your cards and IDs. JETech comes with a synthetic exterior, which provides your iPad 10.5-inch Pro with the ultimate protection there can be. The interior of the JETech cover is made up of a smooth material which helps in keeping your device safe from scratches. The cover provided by JETech is going to put your device to sleep automatically when the lid is put on and awakes it as and when the lid is opened. It comes with a back stand for hands-free experience and consists of a camera hole which is cut into place for the ease of use of the product. JETech also provides a lifetime warranty for the cover. If you are one of those people who are prone to dropping your iPad often then you must choose Speck. It provides your device protection from a 4-foot fall, which is good news. Speck cases come in a variety of colors for the customers to choose from. The raised edges of Speck cover help in better protection of the screen. The interior of Speck is lined by a smooth cover for better protection. It also consists of clasps that holds the lid into position for better protection of the device. The exterior is made up of PU leather which is durable and easy to clean. 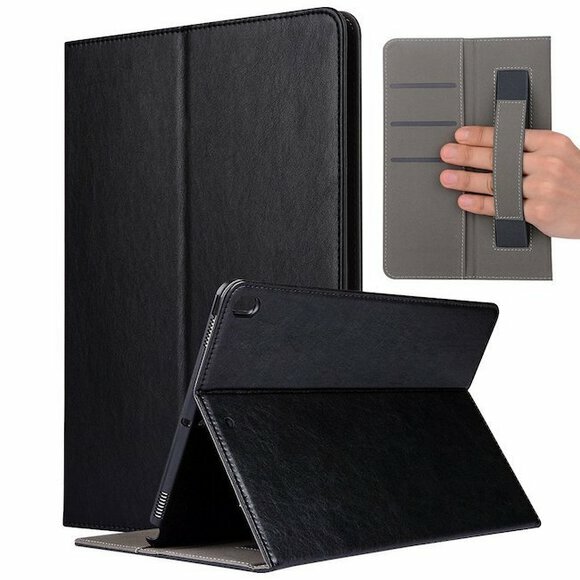 Looking for something unique and classy case for your iPad 10.5-inch Pro, which is specifically meant for people who are on the go, then this is your best bet. Moko case helps people to use the device even if you are travelling so that you can get your work done with ease. The cover helps in protecting the screen of the device when the flap is closed and thus prevents any scratches on the same. Moko Premium case is light and completely fit for portable purposes. This is one of the best iPad Pro 10.5 inch case available in the market that comes with built-in elastic hand strap to use your iPad easily while on the move. 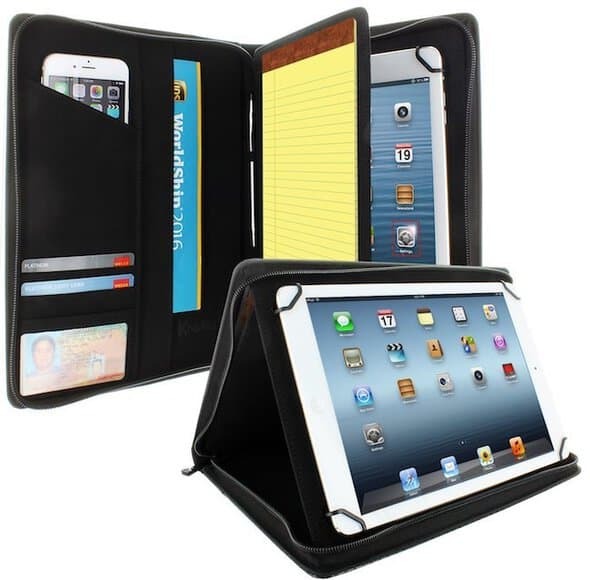 Not only this, it has many compartments to put your visiting cards or credit cards, ID cards and much more. It is a tough case and made of premium leather which gives it a classy look. 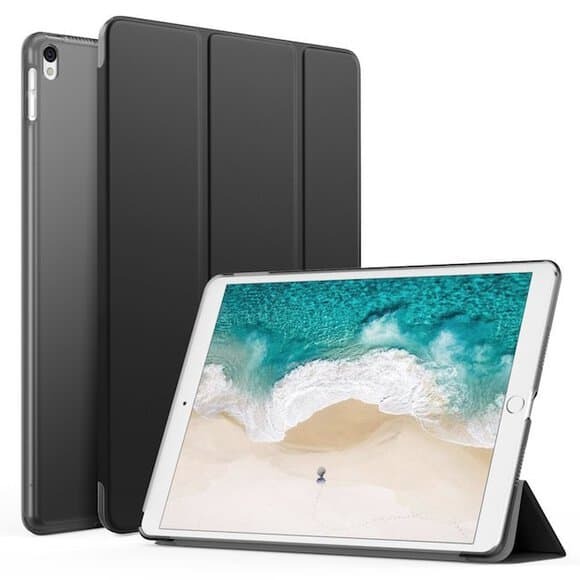 These are some of the best 10.5 inch iPad Pro cases and covers which will provide you with the best protection and some of them even have some additional features to allow you to do much more than just using them as a cover. 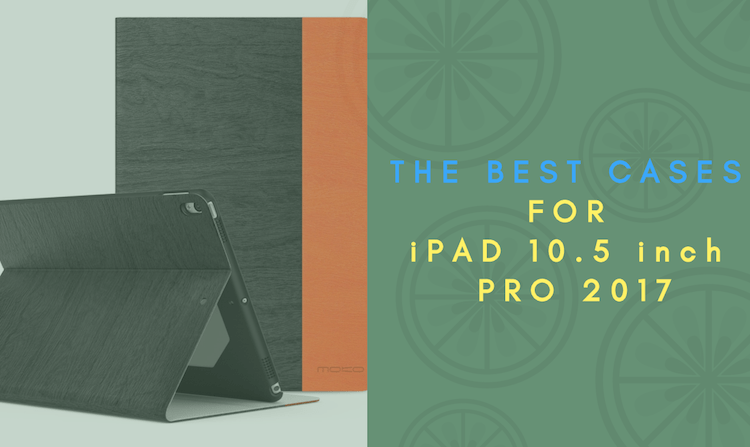 So select the one out of these best iPad Pro 10.5 inch cases which is proper as per your choices and enjoy!